Portland Cable Trams experienced a surge in passenger numbers this week with the arrival of two P&O cruise ships at Portland. 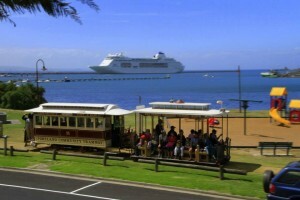 Each cruise ship carries over 1800 passengers, who are all potential cable trams customers. 335 people took a ride on the tram yesterday alone and Portland Cable Trams Manager, Joy Hocken, said they were expecting today’s numbers to be just as big. “All of our active volunteers have been enlisted for these cruise ship visits to ensure we can meet the demand,” she said. 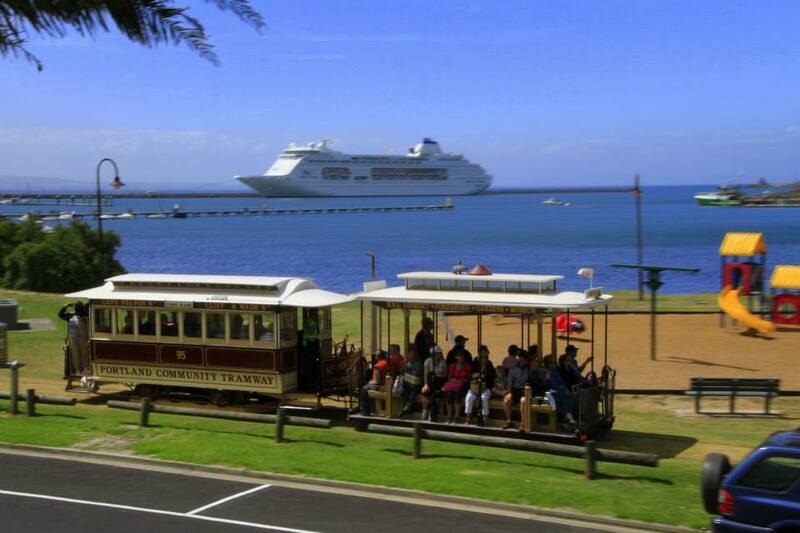 A ride on the cable tram has been promoted as part of P&O’s Panoramic Portland shore tour for cruise ship passengers and, said many more people wandered off the ships and jumped on board the tram. The Portland Cable Tram offered passengers a 7.4km trip along Portland’s spectacular foreshore, travelling past many of the city’s tourist attractions including the Maritime Discovery Centre, the Powerhouse Museum and the Botanic Gardens. The Portland Cable Tram Depot and Museum also offers historical displays, the Southern Hemisphere’s largest gemstone collection and a café and gift shop.